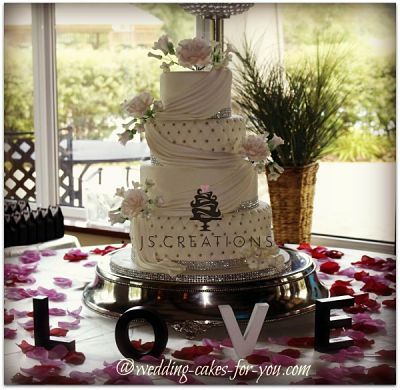 Elegant wedding cakes are gracefully refined, beautiful edible creations that can be quite formal or very delicate. The idea for the stately creation below came straight out of the Wilton Celebrate Book from 1984. It was adapted to suit the bride and groom. 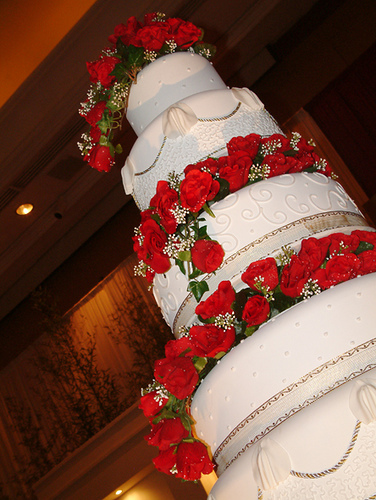 This particular style is influenced by the Philippine method of decorating, which is very flamboyant with tall pillars and toppers almost as tall as the cake. The beautiful design above is luxurious yet formal in design. The pillars which are somewhat traditional give it that stately feel. The fresh flowers soften the design and the table setting adds to the tasteful beauty. 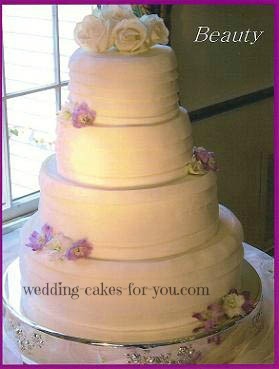 The topper has a vintage 1920's look and because of the height really adds to the formal nature of the cake. TIP: Wilton has been around for over 80 years. 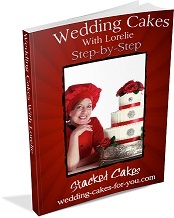 Get ideas and learn new cake decorating techniques with their comprehensive books. See my reviews of some favorite books that I use. For many decorators the Wilton Way of decorating is very influential and is a great way to begin learning and possibly start building a career. Check the schedule for classes coming up. For a bride to be, Wilton Decorating books are a great place to get ideas for designs and styles to go with your theme. 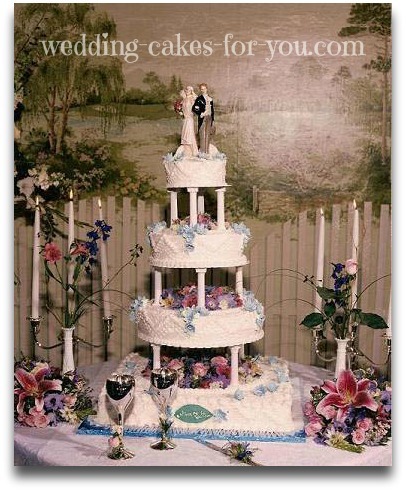 If you are planning on making your own wedding cake my step-by-step eBook is a must. An example of a small and very polished wedding cake to the left with royal icing piping Courtesy of asliisiker on Flickr. 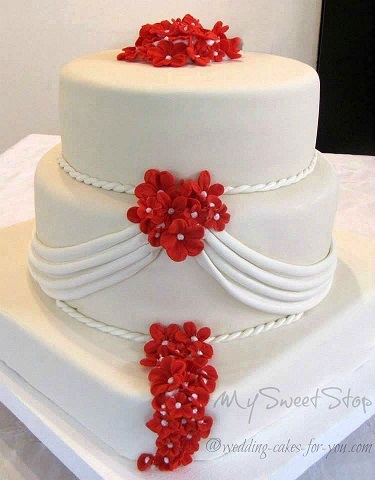 The fondant draped three tiered creation is by My Sweet Stop and was shared on Wedding Cakes For you Facebook. 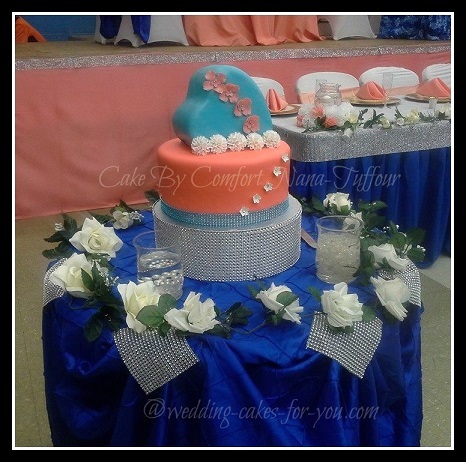 The Gorgeous four tiered fondant creation below (right) is by Jacqui @ JS Creations. Visit her website today! 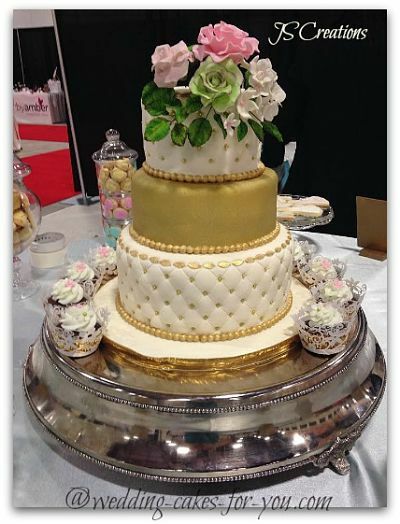 The fondant beauty above (left) was submitted by Clara Sweeting (perfect name for a cake maker) of Tampa Florida. I would say this is a BLING design for sure. The quilted fondant with the little dots or dragees adds interesting texture and the gumpaste LILY adds a touch of simple elegance. To see more on Fondant designs go here. "I have been making cakes for around a year, after losing my job I had to find a way to make money so I turned my hobby into a full time job. This cake is the first fondant wedding cake that I made. Everyone was in love with it." 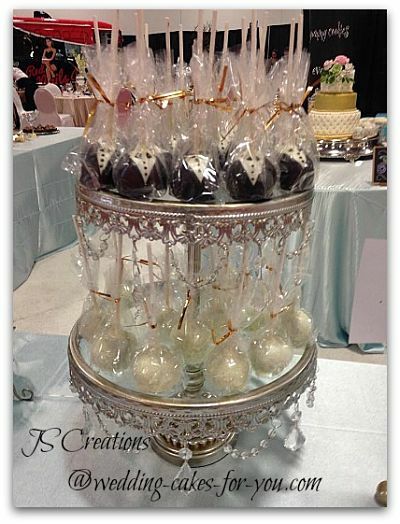 JS Creations does it again. 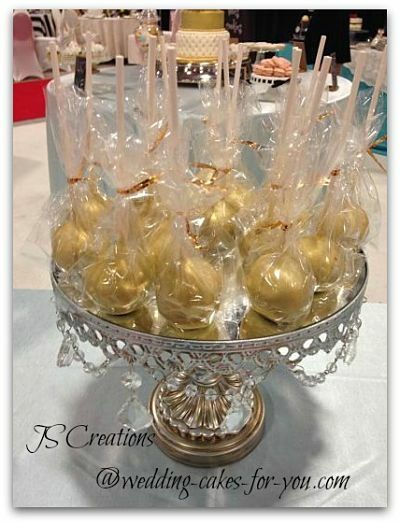 This time a royal look with gold highlights and the prettiest cake pops ever. 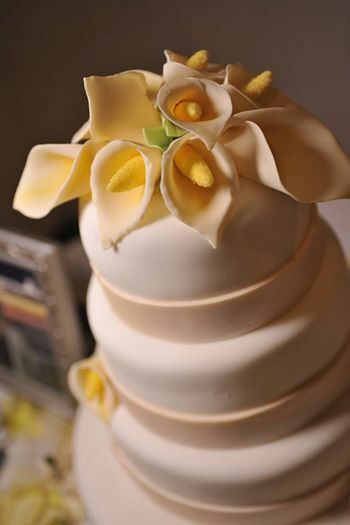 This simply elegant wedding cake by Michael Serrano JR. of Lilfuggiecakes in N.Y. C. is pretty special. Check out or find them on Facebook. 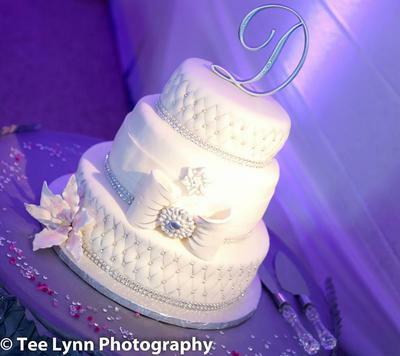 Wow this is an amazing cake and photograph. Courtesy of t4n14_phei on Flickr. This was shared on facebook by Comfort Nana Tuffor. I find this cake to be very unique in color and design and very lovely. 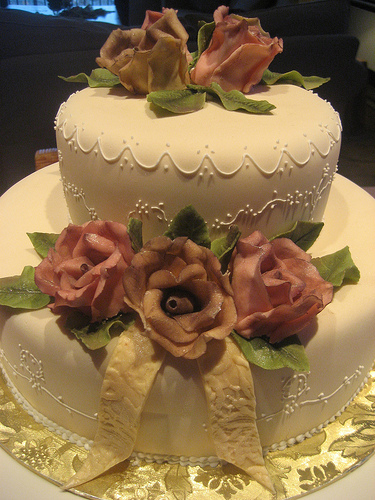 ~Wedding Cakes For You~ This fondant design was inspired by the brides wedding dress. Go to the design ideas page with a link to gorgeous wedding dress designs and pictures to get your creative juices flowing.